Agnes Moorehead moved to St. Louis as a child, where she acted in stage productions, danced with the Muny Opera and debuted as a radio singer on KMOX in 1923. After moving to New York and appearing on Broadway, she became a charter member of Orson Welles’ famous Mercury Theater, starring in hundreds of radio dramas. Following her 1941 movie debut in Citizen Kane, she displayed her range as a character actress in over 60 films and also played Endora on TV’s Bewitched from 1964 to 1972. 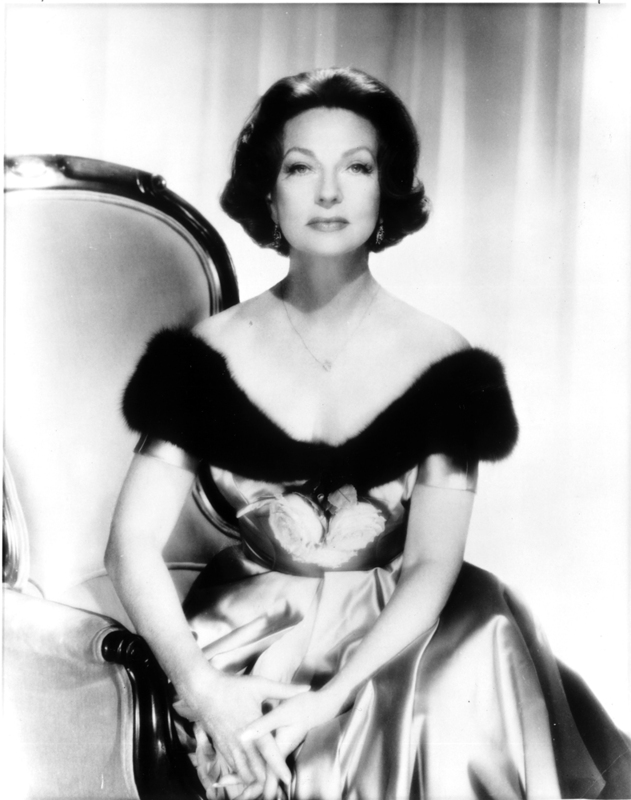 One of the best acting voices in radio history, Agnes Moorehead also received four nominations for Academy Awards. Bewitched.Net Visit the official Bewitched site for lots of fun facts about Agnes Moorehead and the show. Carrie Houk, St. Louis Film Partnership, accepted on behalf of Ms. Moorehead.